You can use this video for your own donor drive or donor program. The embed code is in the upper right corner. Just click on it then copy and paste the code into your own website or blog. We created this video with the intention of any patient or donor program using it on their own websites and blogs to help spread the word. You can contact your local Public Access TV Studio and ask if there are any programs that need guests that can come talk about the donor program and a particular patient's need. I was given this opportunity to help my cousin Tami and invited along another patient advocate like myself as well as the Executive Director of the Asian American Donor Program. The three of us explained how easy it is to register and the dispelled many myths about the donation process itself. 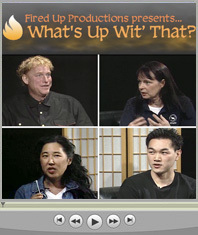 In the Fall of 2009 our segment won a major award. 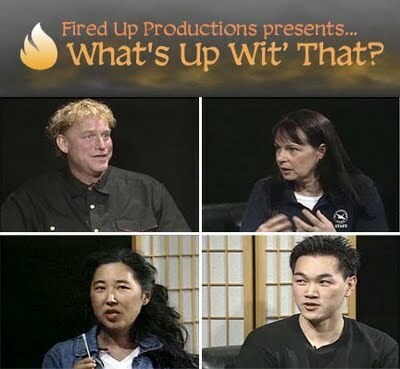 It won the first ever Community Activism Award and will be aired nationwide on Free Speech TV which is the public access channel of the DIsh Network. That's 30 million households! As a guest it didn't cost me anything to participate in the show. The show itself paid a fee to enter the program in the competition but I wasn't even told until after it won! 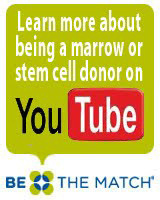 Learn the Truth About being a Marrow Donor. It is not excruciatingly painful, your marrow will regenerate itself, 70% of patients in need will not find a match in time and of the lucky ones who do 70% will receive their match from a stranger. CLICK HERE to learn more.